Mississauga native Kate King was one of the most intriguing newcomers that IMA encountered throughout the Spring/Summer 2013 show season. King's hybrid mix of cultures lends her a look that is distinctly unique and one which keeps the fashion world and her fans guessing as to her ethnic roots. Scouted at age thirteen whilst on vacation in New York, King kept her modelling aspirations at bay for a few years to focus instead on her higher school learning. Blessed with divine almond shaped eyes, a luscious pout, and a lanky 178 cm frame, King was an instant hit during her debut outing at the Fall/Winter 2011 collections appearing at Alexander Wang, Marc Jacobs, Prada, Yves Saint Laurent, and Louis Vuitton amongst others. In the midst of the pressure boiler atmospherics of the shows, King displays a disarming air of normalcy and a sense of calm that provides a welcome respite from the chaos of fashion week. Indeed it is King's hard to place beauty coupled with an inquisitive mind, eloquence and a maturity beyond her years which allows the nineteen year old to pierce through the haze of newcomers vying for the approval of casting directors and designers. IMA caught up with King as she took a breather between modelling assignments to chat about her whirlwind year, her fashion week emergency survival kit, and what it means to be truly Unforgettable. Inoubliable Model Army: Hi Kate, it's been almost a year since we met at the castings for Altuzarra during the Spring/Summer 2013 season! What have you been up to over the past year and are you looking forward to the upcoming Spring/Summer 2013 collections? KK: This past year has been a really exciting one for me. Workwise I have gotten to experience so many firsts! Some I can't even detail just yet! IMA: Would you mind sharing a bit of your backstory with IMA's readership? 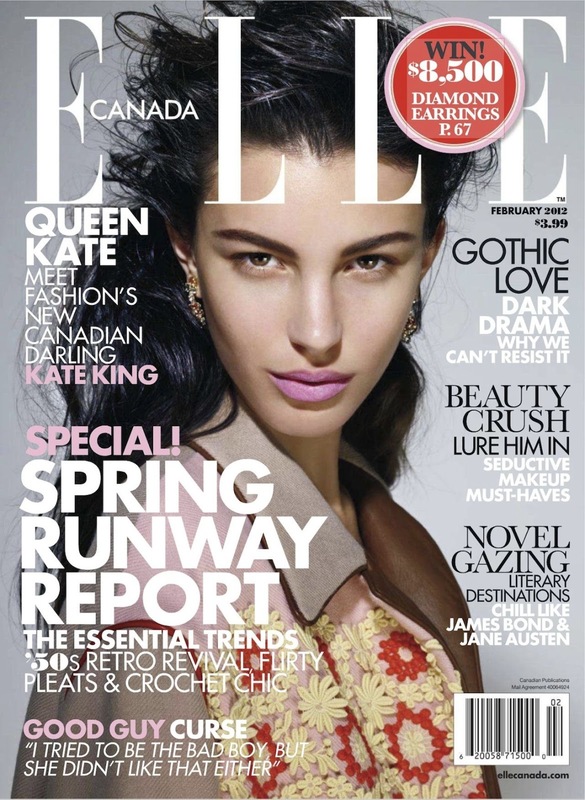 KK: I am 20 as of December 3rd and have been modelling for just short of three years. I was initially discovered by a woman on the streets of New York whilst on vacation when I was thirteen after exiting a Broadway show. However I did not start modelling until much later via another route. IMA: Had you previously harboured modelling ambitions prior to being scouted? KK: Well, my Aunt was a model so the idea was not so foreign to me as it is to many girls being as I was always tall and thin. Although I never gave modelling too much thought until I was approached by someone in the industry. 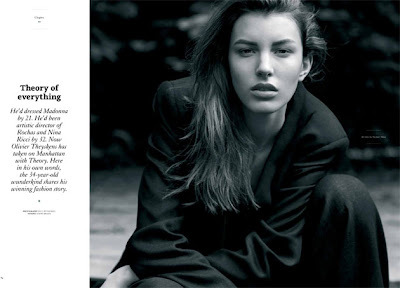 IMA: You possess one of the most distinctive and hard to place faces in modelling today. Where do you hail from and what are your ethnic origins? KK: I was born and raised in Canada, in a suburb of Toronto. My mother is from Guyana with roots in Portugal, India, Sudan, and Ireland. My father is 100% Scottish. IMA: During your debut season at the Fall/Winter 2011 shows, you landed on Top 10 Newcomers lists for IMA, models.com, and COACD. Did the industry's overwhelming positive response came as a surprise and what factors do you feel have contributed to your meteoric rise through industry ranks? KK: Success especially in the beginning is always a welcome surprise. Running around to castings, you see hundreds of other girls, my expectations were realistic but my experience surpassed my expectations tremendously. IMA: At the S/S 2013 pre-castings for Altuzarra, you exhibited and inner calm and quiet confidence. How do you approach the casting process and is there a secret to wowing casting directors and designers? KK: I don't think there's a secret to winning over casting directors. I think you have to be yourself and hope that they respond positively to that. IMA: The show season is an intense rush of emotion, stress coupled with sleep deprivation, jet lag, and being pulled at from head to toe. How do you prepare for the onslaught of the shows? KK: I prepare by making sure that a few weeks before I step up my game a bit in the wellness aspect of my life. I go to the gym more frequently and try to eat as well as I can. Also, I will put together a little"emergency kit" that contains plasters, blister treatments, pain killers, caffeine etc., all the good stuff that keeps me going in the craziness of what fashion week can be. 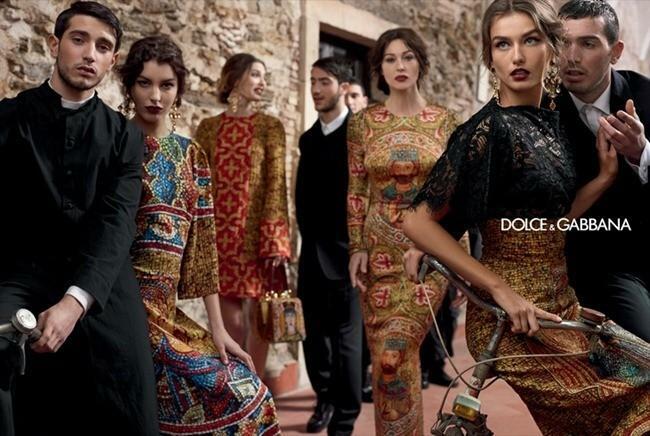 IMA: You're resumé includes lucrative campaign appearances for Dolce & Gabbana, Chloé, and Top Shop amongst others. Have you gotten used to seeing your image in magazines and emblazoned across billboards? KK: At the beginning, seeing myself in magazines or on billboards was quite strange. I would shy away from it a bit. Now however, I embrace it more openly than before. I am proud to be a part of the projects I have been involved in and it's amazing to see the final product. IMA: Editorial appearances in a diverse array of publications including Vogue Italia, Russh, Dazed & Confused, American Vogue, 032C, Another Magazine, Russian Vogue, and Dansk, are an indication of your versatility in front of the lens. How do you get into character for a shoot and how important is the synergy on set with the photographer and crew to the overall creative process? KK: It is a different process for every shoot. So I take each job as it comes, usually there are inspiration pictures or I get inspired by the hair and the make up or by what the photographer has to say or the set we are working on. Every shoot inspires me differently. I try to listen and absorb what the vision is for the shoot and do my best to emulate what it is the photographer, art director, or client wants. IMA: What are the most valuable life lessons that you have acquired as a result of your modelling experiences? KK: I have learned and continue to learn so many things from my job. It is an industry where you have to grow up quickly, you have to learn how to communicate with people much older and with much more experience than you. That can be a difficult thing, but it is nevertheless a very important skill set. The travelling and the congregation of girls from various backgrounds and countries brings to light different cultures and ideas which is extremely eye-opening. IMA: The life of a model can be a lonely one with lots of time spent travelling, on planes and in hotels abroad. How do you manage this aspect of modelling life? KK: I am extremely close with my family and luckily have the privilege to have them come visit often and to travel with me on occasion. IMA: How has your sense of style evolved as a result of your exposure to the industry? KK: My style continues to evolve, I mean this is an industry based on trends and I really enjoy fashion and love being part of it and to be able to evolve with it. IMA: What do you hope to achieve in modelling and what would you be doing otherwise if you hadn't pursued modelling as a career path? KK: Well, I am nineteen so if I wasn't modelling I would be in school majoring in social science I'm sure. IMA: Imagine you're on the cover of British Vogue shot by Peter Lindberg as per the original five Supers - Christy, Linda, Cindy, Tatjana, and Naomi. If you could choose, who would you most like to share the honours with? KK: Katlin Aas, Nadja Bender, Andreea Diaconu, and Hanne Gaby Odiele. KK: I am always trying to better myself, to be kinder to people, more open to different ideas, and to learn about the world.